For some, Christmas comes in December, but for the performing acts at the Salt Lake Community College Twilight Concert series, Christmas is the day of the show. Just trade merry carols and trees draped in lights for bone-chilling bass notes, blood-pumping beats, and lights much larger than your grandma’s Christmas tree. SLCC is the presenting sponsor this year for the locally renowned Twilight Concert Series. Broadway Media and the Salt Lake City Arts Council are working with SLCC for a one-year deal to keep the concerts going, according to the official website for the concert series. While the foreseeable future of the concerts remains a mystery, the sponsors have done a great job gathering a diverse group of musicians for the summer of 2018. Twilight began with EDM star, Diplo, and will later feature Robert Delong, Moon Taxi, DJ Snoopadelic aka Snoop Dogg and King Princess & Flora Cash over the next month. Concertgoers are greeted by the immediate thumping of the bass in the distance from the stage at Gallivan Plaza, the new location for the concerts after being moved from Pioneer Park. 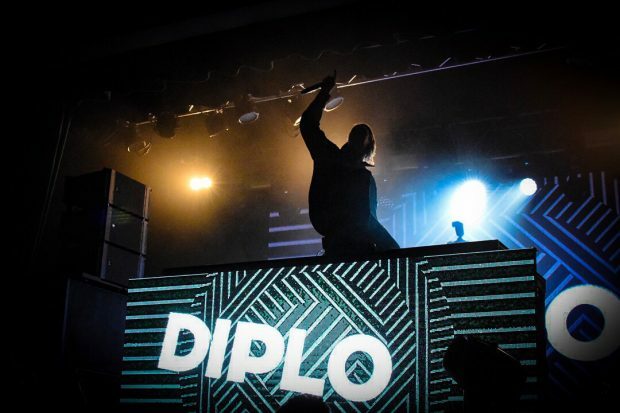 Diplo was the headliner but the show was kicked off by Conner Bvrns, Bo York, Z & Z and DJ Dizz. SLCC takes pride in its local roots and the 11 campuses spread across the valley, and was thrilled to secure local artists to open the shows. Community is, of course, a huge part of SLCC. 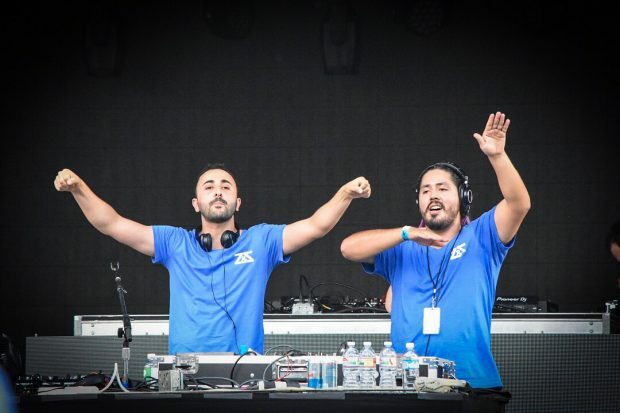 Z & Z, or Allen Salazar and Omar Jamhour, are a dynamic EDM duo who not only play in different concerts and festivals over the course of a year, but also whips up a tremendous cup of mocha at their downtown coffee shop affectionately named The People’s Coffee. Salazar and Jamhour took over the coffee shop together a year and a half ago after leaving their jobs to focus on their music. Salazar had a background in working at coffee shops and Jamhour came with some experience in business. Jamhour explains his reasoning for buying the coffee shop was not a lifelong dream of his but a way to make money on the side while shifting their focus to music fulltime. Since that decision, Z & Z has played in many local festivals and concerts. But beyond money, Jamhour admits that he was personally interested in a certain product that came from the shop’s previous owners. “That mocha was—I got addicted to it,” says Jamhour. Much like SLCC, The People’s Coffee is all about showing off the people within the community. Local artists can come in and have a place to hang their work to be sold, without the shop collecting a penny of commission. An open mic night is another way the shop likes to reach out and mesh with the surrounding downtown residents. Both Salazar and Jamhour say they can relate to starving artists who need to find a way to breakthrough so they find a joy in the way they can serve their community. But when it’s showtime, these artists find a different way to serve that same community. KUUU, or U92 is synonymous with Utah radio stations as far as recognizability and the fact that they are the valley’s only hip-hop station. And if you’re tuned into 92.5 FM weekdays during various hours throughout your day, you are undoubtedly familiar with DJ Dizz and his mixes. 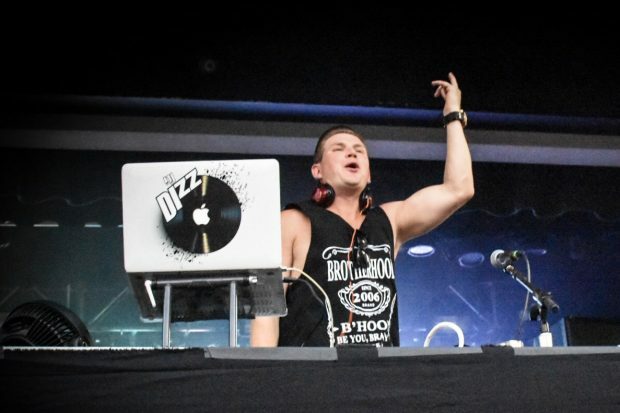 According to his official DJ Dizz Facebook page, Fleming moved to Utah from California about a decade ago and has been on air for 5 years and was voted City Weekly’s 2014 online vote for “Utah’s Favorite EDM Artist”. Fleming has opened for various artists from the Chainsmokers to Chris Brown, to Wiz Khalifa and fellow Twilight artist Snoop Dogg.